Story Contracting are delighted to be awarded a contract by Morgan Sindall to replace the life expired track slab in the Queen Street tunnel. 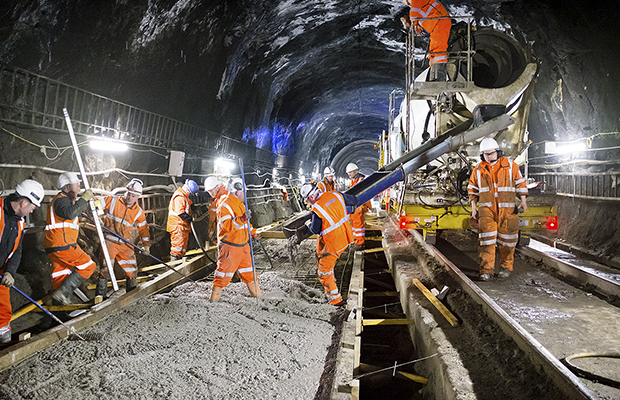 Over the Easter bank holiday, Story Contracting started working night and day to deliver improvements to the railway as part of the £40bn Network Rail Railway Upgrade Plan. The track in Glasgow Queen Street Tunnel is being modernised, with infrastructure also being put in place as part of the Edinburgh to Glasgow Improvement Programme (EGIP), which will see the introduction of electric trains between Edinburgh and Glasgow via Falkirk High from December 2016. There’ll be a 20-week closure of the high-level Glasgow Queen Street Tunnel to Monday 8 August so that the concrete slab track inside the tunnel can be renewed safely. The line between Glasgow Queen Street and Edinburgh Waverley is one of the most used in Scotland, and Glasgow Queen Street is one of the busiest stations. Upgrading the infrastructure will make services more reliable for passengers and businesses. Electrifying the line will allow faster, longer, greener and quieter electric trains to run along it, so there’ll be more seats for the growing numbers of passengers travelling by train, and journey times will be quicker.